There are many trends in lighting technology and products, including the growing popularity of LED lighting, hybrid flash/LED lighting, and the ringlight’s renewed popularity. Battery-powered monolights have all but replaced AC-only models, so it was not surprising that batteries and inverters are all the rage. A lighting system’s most important characteristics are its output quality and quantity, but that quality (and indeed quantity) can be affected by your choice of light modifiers. I saw lots of clever lighting modifiers, some designed to work with studio lights while others are aimed at speedlight users. For those unfamiliar with “LED-speak” check the accompanying sidebar on “LED Buzzwords.” There are definitions and references that will aid you in gaining an appreciation of this type of lighting. Bowens’ Mosaic system is a family of three modular LED panels in their Limelite series. The Daylight model contains 576 LEDs and produces up to 4200 lux of 5600K daylight output. The Tungsten model uses the same number of LEDs to produce tungsten-balanced 3000K light, while the Bi-Color model produces 2400 to 5200 Lux and can be adjusted from 2800 to 5600K. Optional mounting kits let you attach two or four Mosaic panels together, creating large banks of LED light. The Mosaic can be powered by AC or can use an industry standard V-lock battery. An Anton/Bauer-standard battery mount is optional. The intuitive onboard control panel has a digital display that makes working with the Mosaic quick and easy. It can be operated remotely via its built-in DMX (Digital Multiplex) in and out control. Overheard on the trade show floor: “When LED delivers a form factor that looks like a monolight, studio flash is dead.” Eschewing the flat panel design of many LED lights, Fiilex offers their P360 and P200 FlexJet lights. The P360 has the shape and size of a small monolight with a Color Rendering Index (CRI) of 90+ (see “LED Buzzwords” sidebar). The P360 weighs 1.6 lbs and its focusable design produces 572 lux (at 6.2 feet) of flood or spot lighting at color temps from 3000 to 5600K. Four-leaf barn doors and a 15” softbox are optional. Their 2.8-lb P200 FlexJet is where things get interesting. The FlexJet has independently controlled channels and its Dense Matrix LED can produce a variety of colors. Dense Matrix LED uses heat dissipation technology to pack numerous LEDs onto a single array, creating a dynamically adjustable as well as compact light source, allowing you to mount accessories such as fiber-optic tubes and rods—think lightsaber—to produce effects not otherwise possible. Peter Hurley single-handedly reinvented the headshot with his wraparound lighting technique, and now he’s designed a lighting system that embodies those ideas. The HurleyPro Medusa uses COB-based LEDs, producing more than 2150 lumens per 3-foot tube and eight per operating fixture. Designed to run on voltages from 80 to 260v, Medusa offers linear dimming from zero to 100 percent and when using a remote can control up to 256 lamps. Chip On Board (COB) technology removes the requirement that LEDs be surface-mounted onto a metal plate, allowing manufacturers to bypass the chip connection while producing 10 times more lighting area and avoiding the uncomfortable glare that some of my models experienced when I photographed them with other LED systems. The accompanying portrait of Mary and me was made with the Medusa. Westcott’s Skylux has a form factor not much different than the company’s own Strobelite monolights and is a daylight-balanced 1000w LED studio light with a CRI of 94+. Output is 5301 lux at 3.2 feet. Using a Bowens S-type speed ring lets you attach all of your favorite monolight light modifiers to the Skylux. Its built-in diffusion panel lets you shoot without a modifier and still achieve soft, consistent output. The frosted and diffused LED source is recessed for shadow-free output and spring mounted to protect against impact. An internal fan keeps the unit cool and Westcott tells me it has “virtually zero sound” while operating, making it useful for shooting video. I tested Lowel’s Blender for Shutterbug and found it a capable if small LED light source, and now Lowel provides more power and flexibility with the Blender 3 Light Kit that appears useful for on-location portraiture. Each Blender has two sets of tungsten and daylight LEDs, which can be blended using back-mounted controls to the desired color output. A bundled set of diffusers let you vary the character of the light to soften it or create a sense of drama. 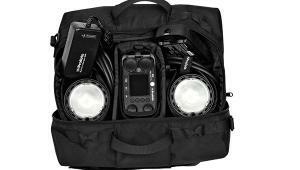 The 3 Light Kit contains three Lowel Blenders, three Lowel light stands, and a carrying case with room for one of Lowel’s optional Camcorder Battery Sled 3 Packs and industry standard battery cables. Need something larger than the Blender? Lowel’s Prime series consists of the Prime 200, 400, and 800 LED fixtures that the company claims “are brighter than similarly sized studio LEDs” and have a wide 50-degree beam angle. Prime LEDs are available in daylight or tungsten color balance models, have a CRI of 91+, and operate at auto-set voltages from 90 to 250v. Primes offer quiet, fanless operation and can be mounted via a hanging clamp for video applications or in a stand mount for still photography. The Prime panels are DMX addressable, dimmable, and controllable with several optional accessories, including a Barn Door Softening Set with Lite Diffusion Gel and 20- or 30-degree Honeycomb Grids. International Supplies introduced the Lumos 100 that measures 8.6x3.5x1.5” and is available in Daylight or Tungsten versions. It has 84 LEDs that consume 17 watts with a dimmer that adjusts brightness from 100 percent to zero “with minimal color shift.” The 1.08-lb unit uses a rechargeable lithium-ion battery that lasts two hours continuously at 100 percent power and more than six hours at half power. The Daylight version produces 280 lux at 3.9 feet with a CRI of 90; the Tungsten version produces 250 lux at 3.9 feet with a CRI of 97. The 12x12” Lumos 300MK with its 288 LEDs weighs 2.2 lbs and lets you control color temperature with two dials at the unit’s back from 3200 to 5600K. It produces 800 lux output at 3200 and 900 lux at 5600K at 3.9 feet with CRIs of 92 and 98 respectively. An optional lithium-ion battery lasts three or more hours continuously at 100 percent power and more than six hours at half power. Because some portrait subjects find light from LEDs harsh, International Supplies offers two Airbox inflatable softboxes that you blow up just like a kid’s water wings to produce softer light, better looking portraits, and maybe more comfortable subjects. The Airbox Macro fits LED lights from 4 to 7” wide but is optimized for a 7.5x4.5” source. A silver interior maintains brightness and two layers of diffusion help soften the light. There’s a front pocket where you can stuff extra diffusion or gels. The Airbox Macro attaches with a Velcro strap, has an optional grid, and folds flat for easy storage. For smaller light sources, the Airbox Mini is optimized for 6.8x2.3” LEDs. Rotolight, whose Anova model is the subject of a review in this issue, announced that it is spinning its impressive LED floodlight off into a family of lights with new models that have specific color temperatures. The Anova 5600 is a daylight-balanced unit, while the 3200 is a tungsten-balanced unit. Both units feature DMX control and standard built-in Wi-Fi, allowing wireless remote control of brightness and system settings via the iPhone or iPad, using Rotolight’s (optional) Magic Eye app. …but maybe it never left. Bowens’ Studiolites are dimmable, use replaceable fluorescent lamps, have a 10,000+ hour life, and come in a choice of models with different light outputs and color temperatures. An efficient reflector maximizes output and creates even light spread across the tubes. Studiolite’s thermal design and ventilation ensures cool running while maintaining color temperature and light output over long periods of operation. The Studiolite SL455 starter kit includes the Studiolite SL455 fixture as well as a set of four 55w 5400K fluorescent tubes and a set of barn doors. Optional system accessories include detachable grids, softboxes, and intensifier attachments. I could have placed SweetLight’s lighting system in the ringlight section because it’s kinda like a ringlight but is much more, including being a speed ring. The heart of the system is the Hybrid Continuous Light unit that looks like a speed ring with four Edison-type sockets. 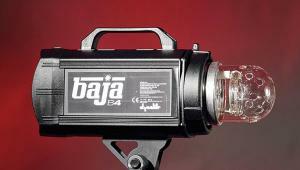 It was shown with four optional 50w 5500K fluorescent bulbs installed and, as that package sits on its tilting bracket, could easily be used as a ringlight. Or you could attach one of the 11 different—Rectangles, Strips, or Arcs—softboxes that SweetLight manufactures right here in the US. The softboxes vary in size from 2x3 up to 4x6 feet and together with the Hybrid unit and fluorescent bulbs produce continuous lighting for portraiture or video. Or you could mount a studio flash using one of the optional backplates and turn the whole megillah into a traditional speed ring/flash combination using any one of these well-crafted softboxes. Priolite is a German company that continues the trend of battery-powered monolights but puts its own spin on the notion by locating the battery inside the monolight itself. The 500ws MBX500 (reviewed in this issue) is adjustable in 1/10-stop increments and features internal power reduction so when power is dumped, there’s no flash. The MBX500 has a display showing power settings and a switchable slave but there’s also a built-in radio remote control module, controlled by a Priolite transmitter, that works at up to 985 feet. A switchable audio signal indicates recycle and a temperature-controlled built-in fan prevents overheating. An LED modeling light provides bright light while preserving battery life. The Priolite MBX1000 has many of the same features of the MBX500 but with more power and a 100w modeling light. Priolite also offers innovative AC-only monolights with hybrid flash/LED modes plus a full line of lighting modifiers. 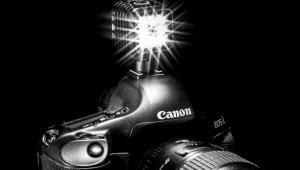 Want to go wireless with your studio lights? The 10-channel PlusX provides entry into the PocketWizard wireless system and uses the same Auto-Sensing Transceiver technology as the rest of the product line, which means it automatically switches between transmit and receive as needed. Just slip it onto a hot shoe, turn it on, set the channel using a backlit rotary dial, and the PlusX automatically figures out what it needs to do for triggering remote flashes or cameras. When you can’t put it in a hot shoe, PlusX has a mini phone (3.5mm or 1/8”) sync port. Fast microprocessors allow for sync speeds of 1/250 sec for focal plane shutters and 1/500 sec for leaf shutters. The unit has the same side-profile design as the PocketWizard Plus III radio I tested last year for Shutterbug and an internal antenna to minimize obstructions and distractions between photographer and subject. Elinchrom’s D-Lite RX 2 and 4 monolights replaced their D-Lite-it models and many of the specifications remain unchanged, as do kit configurations with the big news being the monolights are now Skyport RX compatible. Elinchrom’s new D-Lite RX ONE monolight produces 100 ws output, which in this era of high ISO/low noise SLRs is not the problem it once was. 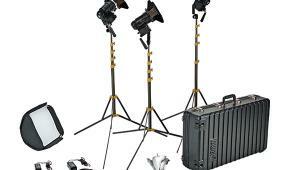 The D-Lite RX ONE has a five-stop power range and dims the modeling lamp during recycle. It has an Intelligent Slave Cell that ignores a speedlight’s pre-flashes so it triggers at the correct time, but more importantly it has wireless Skyport RX compatibility. The Elinchrom D-Lite RX ONE monolight is offered in two lighting kits that cost less than $700. 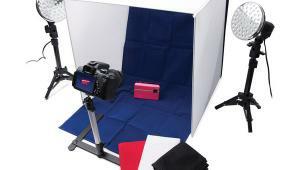 One includes two umbrellas, two reflectors, two light stands, and a carrying case. The other one has two 25.5” Portalite softboxes, two light stands, and a carrying case. Both kits include a Skyport RX Speed Transmitter so you get full remote power control and triggering right out of the box. Elinchrom added Skyport RX compatibility to every one of their models. All their monolights have access to eight frequencies each in four groups, remote power control in 1/10-stop increments, full control, and, when using the optional Wi-Fi module, control via the iPhone and iPad. The EL-Skyport software and the optional USB module offer the shooter rear curtain sync, multi-flashing, and other features. As a side note, Lastolite’s new double-sided Urban collapsible backgrounds make a nice complement to the Elinchrom’s D-Lite RX ONE kits and let you create an outdoor look anywhere you shoot. These 5x7-foot fabric backgrounds have realistic-looking shadows built into each image and pop open and close just like a large collapsible reflector. 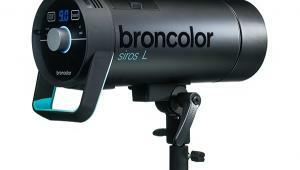 Broncolor’s Move 1200L Two Head Kit has a battery-operated power pack that produces 1200 ws while tipping the scales at 13.7 lbs. 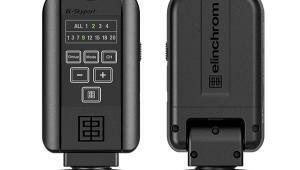 The Move is equipped with full asymmetrical output across two lamp connections and has a control range of up to nine f/stops and flash times down to 1/20,000 sec. Eight protection bumpers guard the Move from any beating and banging it might encounter and the front panel’s LCD display lights up to show selected settings, allowing you to set preferences much as you would on a digital SLR. When used with a 5500K MobiLED lamp in the kit, it doubles as a power source for continuous lighting and will run continuously for two hours when shooting video. 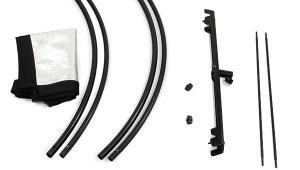 Included in the kit are a 28x28” Flex light bank and a 32” umbrella. The Move kit comes standard with a wheeled backpack that’s much better made than similar cases bundled with lighting kits. The Move 1200L Outdoor Para Kit is similar to the Two Head Kit, but is designed more for outdoor photographers and includes the Para 88 reflector. Photogenic’s ION Pure Sine Wave Inverter is a lightweight power supply that has two AC outlets to supply power for two monolights. Weighing only 3.5 lbs and measuring a compact 7.5x4.4x3.3”, the ION can produce more than 3500 shots, depending on power output required. A full charge for the lithium-ion battery takes three to four hours with an LED meter displaying power levels. For travel just pack the ION and extra batteries along with your monolights and it doesn’t matter if your next shoot is a wedding or in the middle of Death Valley. On the way to an assignment, you can use the ION’s built-in USB port to charge your smartphone or other electronic devices. The ION comes with an inverter, lithium-ion battery, charger, carrying strap, and adjustable multi-clamp for light stand mounting. A spare battery and carrying case may be optional but are good ideas for the traveling photographer. Dynalite showed their new XP-800 Pure Sine Wave Inverter. Weighing only 15 lbs, the XP-800 offers power to go with three AC outlets for your studio strobes as well as three USB ports for your electronic devices. It’s powered by a 12,000 mAh lithium-ion battery that can be charged in less than six hours. Dynalite’s updated MK8-1222v Kit is part of their RoadMax series of power pack and head systems and is aimed at fashion, corporate, portraiture, wedding, and interior shooters. Its MP800 power pack has four head outlets and separates its output symmetrically or asymmetrically over a six-stop range with a fast 1.2-second recycling time at full power. Power is controlled over two stops in 2/10-stop increments. Triggering options include the provided sync cord, IR or optical slave as well as a built in 32-channel PocketWizard. The fan-cooled MH2065v flash heads have a 300w modeling light, user-replaceable flash tube, and a 5400K color temperature. The kit includes two light stands, two 36” umbrellas that can be used in reflective or shoot-through modes, and a carrying case. LEDs were the big news at the show; likewise, LED ringlights were part of that trend. Quantum Instruments’ Omicron 4 LED ringlight produces 60-degree diffused illumination with user-controllable color temperatures from 2500 to 6500K. This ringlight’s mix of white and colored “Chromatically Correct” LEDs is designed to deliver true, bright colors. The Omicron 4’s display lets you set the dimming level from 100 percent to zero and you can control color temperature; it also has presets that, much like in the software world, store color temperature and lighting levels for later retrieval. When used with Quantum’s CoPilot wireless TTL flash controller, the Omicron 3 combines LED and TTL flash functionality and in TTL or manual mode, remote Qflashes are wirelessly linked between the ringlight and your camera. The Omicron 3 produces 60 degrees of diffused light that make macro images sharper by adding contrast with little or no shadow. Its Auto-Tracking feature adjusts light output as you move in or out. In addition to a whole slew—there are 11 of ’em—of small to medium sized LED light panels, Fotodiox offers the Pro LED 411A Cordless Ring Light with its 411 LEDs, powered by two included lithium-ion batteries. The daylight-balanced LEDs offer soft light for still and video photography, while a dial on the back allows the ringlight to be dimmed as needed. Fotodiox’s LED ringlight produces ideal lighting for beauty shots, producing the trademark circular catchlight in the subject’s eyes as well as traditional macro photography. The opening to poke your lens through has a 105mm diameter and most SLRs should fit on its sliding mount bracket. A well-designed handle/grip makes the Cordless Ring Light portable and easy to use. OmegaBrandess introduced Rosco’s LitePad Loop ringlight. The LitePad inside the Loop has LEDs on the inside and outside perimeters of the “O” shape, permitting maximum brightness. It can be dimmed using either the Rosco Single Fader Dimmer or 2 CH/DMX Dimmer. The Loop’s two-part design allows for quick and easy attachment to a camera. Its housing is shatter-resistant plastic that’s 9” in diameter with a 4.4” center opening. The Mounting Assembly looks like one of the best of this new generation of ringlights; it uses industry standard 15mm rod supports, allowing the Loop to travel backward and forward, as well as vertically, to position the lens in the center. The coolest aspect of the Loop’s design is that it attaches to the camera using a set of magnets that lets you quickly attach and detach it from the mount. A set of eight color correction gel filters and a set of Cookaloris-like inserts are available. Larson Enterprises’ Light Bender is a curved softbox that wraps light around the subject and can be used as either a main or fill light. The light bank is available in 12x48” and 16x60” sizes. Depending on how you tilt the Light Bender, it can also be used as adjustable fill. This design is useful with feathering the main light on a portrait subject. 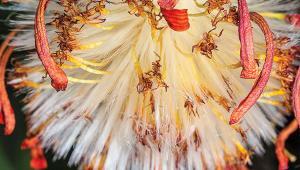 Feathering is a technique where a large light source is aimed tangentially at the subject instead of directly at them, creating a smooth transition between highlight and shadow. Because of its design, Light Bender naturally feathers the light to its ends. 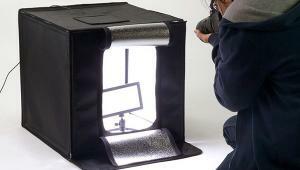 Lastolite’s Ezybox II is designed to fit studio flash units as well as speedlights. Ezybox II lets the photographer carry one softbox that fits all their lighting gear and enables switching from one to the other using simple connectors, all without making adjustments to the softbox itself. Ezybox II softboxes feature an inner and outer diffuser, producing a maximum light reduction of two stops. The softbox pops open and is secured using four support rods and the Ezybox II softbox frame. The Ezybox II Octa is available in two sizes—medium (31.5”) and large (40.25”)—and requires the correct connection kit, depending on your light source. I’m a big fan of large umbrellas because of the quality of the light they produce. Lastolite’s 86” Mega Umbrellas are available in two models; the first has a white translucent shoot-through design that creates a shallow parabolic for maximum spread and the second has a silver reflective surface, which creates a deeper parabolic shape for more focused light. Each umbrella has a white fiberglass framework with a US standard 8mm shaft diameter. I got a chance to see Photek’s new LM and OB series of light modifiers and was impressed by their quality stitching; they also incorporate an elegant red stripe around their edges that should ensure that you don’t accidentally get the softbox in the frame when shooting. Both LM (Light Modifier) softboxes and Octa Banks (OB) give you the choice of a bright, crisp light or soft, clean light, depending on your choice of removable internal and external diffusers. The light modifiers are foldable, making them easily transportable. The four LM series softboxes start with a compact 16x39” model, but go up to a larger 39x55” model. LM series light banks include speed ring, rear backing panel, and carry bag. The Octa Banks include three models from a 35” up to a 55” diameter model that should produce some beautiful wraparound light. The Octa Banks include speed ring, internal and external diffusers, rear light backing panel, and carry bag. Photoflex’s LiteReach Plus is the perfect tool when there’s no time to deal with a light stand or if you want to place your reflector or light where no light stand has gone before. The extra-long LiteReach Plus uses balance ball technology so it can be braced on the ground, taking pressure off your assistant’s back. For quick positioning the balance ball also provides a comfortable resting place against their body. Photoflex just added the choice of SunLite color fabric to its various reflector products. It’s less reflective than their Soft Gold fabric and ideal for bouncing warm light onto your subject without blinding them. Along with Black, it was added to their new 7-in-1 MultiDisc reflector. 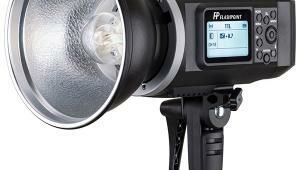 SunLite will also be available in the company’s LitePanel indoor/outdoor reflector sets. The panels are available in a kit that can be positioned up to 8-feet high, permitting the maximum diffused coverage over your subject. It works like a cloud to reduce contrast from the sun or studio lights. The kit features an aluminum frame, translucent diffusion and White/Soft Gold fabrics and crossbar, a medium LiteStand, and LitePanel hardware. Sunbounce’s Sun-Swatter Pro Kit is a complete overhead diffusion system for location and wedding photography when you need to move subjects between many locations quickly and easily. (Reviewed by Shutterbug and available at www.shutterbug.com.) The hardware is made by hand from anodized aluminum and can be collapsed in seconds to fit inside a 3” diameter bag. The crossbar and clamp are integrated into the frame, allowing it to be supported by hand or by attaching it to a tripod. The Le Louche (think film director Claude Lelouch) is a Cookaloris-like system that uses a fabric envelope that allows the insertion of different materials, including a clear plastic sheet printed with a black pattern of leaves, to create the natural-looking effect of mottled light under a tree. For me, one of the highlights of the show was talking with the legendary George Larson about his new company, Legacy Photo Lighting, and its many products. Legacy offers a family of light banks called Rectangle Soft Box RFE that are available in five sizes from 2x3 feet to 5x7 feet. The Recessed Feathered Edge (RFE) on these light banks directs and softens the edges of the light and each Soft Box comes with removable inside diffusers for added softness. There are seven different sizes of Square Soft Box RFE, ranging from 12x12” to 42x42”. There are also a family of strip lights: Soft Box Strip RFE is available in six sizes from 9x18” to 16x60” and makes an excellent tool for key, hair, kicker, side, and back lighting. The Side Kicker RFE is designed for home studios that have 8-foot or lower ceilings and acts as a hairlight, but it can also function as a side light, fill light, or accent light in narrow studios. The light bank’s controls can be seen from camera position and it’s easy to reach the controls for quick adjustments. While the exposure accuracy and quantity of output from speedlights have increased, one factor that’s changed little is the quality of the light produced. You can always rubber band an index card to the flash head as a “kicker” and some speedlights even have built-in slide-out reflectors—no rubber band required. But if you want to soften, broaden, or change the quality of the light you’re going to need something better. XP PhotoGear offers lots of accessories that will improve the quality of a speedlight’s output, including the Z Pro bracket that lets you use a grid, beauty dish, softbox, or parabolic reflector from Photogenic, Profoto, and Bowens studio lights with your speedlight. XP’s 10.5x8” Flat Box FB combines the functionality of a bendable silver reflector with a translucent diffuser, creating even light across its surface and soft light that’s bounced off of its bendable surface. The slightly smaller 5x6.5” Flat Box RB offers similar features in a smaller package. Looking for a light bank? The 10x13.9” PCD Kit includes XP’s largest Microbox light bank along with two masks (circle and slit) that will produce interesting catchlights in your subject’s eyes. All of these accessories fold flat for easy storage and fit inside the laptop pocket of your camera bag or backpack. LumiQuest is a pioneer in creating useful speedlight modification devices and offers a vast smorgasbord of accessories. To make it easier for new speedlight users to get up to speed, the company has three affordable kits: the Strobist Kit includes the SoftBox III light bank, the FXtra (a nine-piece colored gel kit), and two UltraStraps (a non-adhesive mounting strap), all of which fits in a storage wallet. The Wedding/Event Kit contains a Quik Bounce designed for use with or without having a ceiling to use for bounce. It softens light and transitions from horizontal to vertical format without having to adjust or remove it from the speedlight. Also included in the kit is the FXtra, an UltraStrap, and a storage wallet. The Location/Portrait Kit includes the SoftBox III, Snoot XTR, that can be used for hair or accent light, the FXtra, two UltraStraps, and a storage wallet. 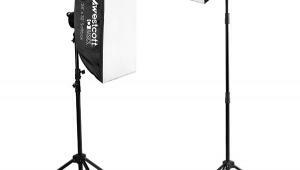 Westcott’s Rapid Box is a family of light banks designed for speedlights. Unlike most light banks, except some that are available from Westcott, the Rapid Box opens and closes like an umbrella with no support rods or required adapter ring. To minimize weight, the box frames are made from aluminum. The Rapid Box 26” Octa measures approximately 26x26” and the Rapid Box 20” Octa Mini measures approximately 20x20”. Both weigh in at less than 2.5 lbs. The cool Rapid Box 10x24” Strip light would be useful for anyone shooting portraits with a speedlight and who wants to give their images a different look. If you remove the Rapid Box’s front diffuser panel and add the optional Deflector Plate you’ve got a collapsible beauty dish, something that’s been a Holy Grail for light bank makers for some time. Lastolite’s Strobo Gobo Kit lets you create lighting and background effects with your speedlight and works with the company’s Ezybox Hotshoe Strobo Bracket and Direct to Flashgun Strobo Bracket. Just attach the Gobo to the bracket and slide in a Gobo mask. The Strobo Gobo has a removable front lens that defocuses the image. The kit comes standard with two Gobo masks, an arched window, and a dappled foliage effect. Several masks are available separately and the Gobo holder takes standard B size (86mm) Gobos. The Strobo Collapsible Snoot can be attached to Lastolite’s Ezybox Hotshoe Strobo Bracket or Direct to Flashgun Strobo Bracket to create a small concentrated pool of light that’s useful as a hairlight or to illuminate a small part of the subject. 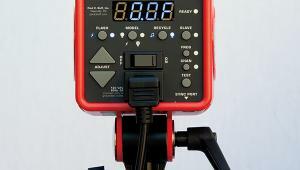 The SpinLight 360 Modular System is a speedlight accessory that lets you control a flash’s quality and direction along with the ability to rotate a bounce card a full 360 degrees. Benefits include bouncing, blocking, and eliminating harsh direct flash on the subject, all while controlling light and shadows. Want to control color? 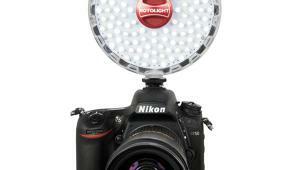 The SpinLight 360 Extreme lets you attach gels along with the ability to change light modifiers at the same time. The SpinLight 360 Event model has an integrated gel system that lets you attach gel filters with the flexibility to change modifiers and bounce cards. The company offers lots of inexpensive accessories for the system, including grids, snoot, full and half domes for that bare-bulb look, as well as white and black bounce cards. The SpinLight 360 is compatible with many different manufacturers’ speedlights; check their website for a list of compatible flashes. 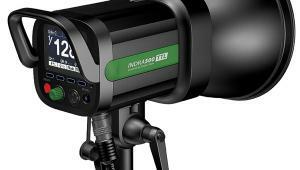 ExpoImaging offers many speedlight accessories, starting with four light modifier kits. The Rogue Starter Lighting Kit includes a small FlashBender reflector, a small diffusion panel, a bounce card/flag, and a universal gel kit. FlashBenders are positionable light modifiers that when bent a certain way assume that shape and stay in position until you reform it, allowing you to direct light where you want. They’re made from abrasion-resistant nylon, while the white reflective surfaces are made from a durable synthetic fabric that’s been tested for neutrality so it won’t alter the reflected light’s color temperature. Their XL Pro Kit (reviewed in this issue) for stand-mounted speedlights comes with a new strip light accessory as well. FlashBenders fit a wide range of speedlights; check their website to see if it fits yours. I think that grids are one of the best but least utilized lighting modifiers, and the Rogue Grid for speedlights features stacking honeycomb grids that provide 16-, 25-, and 45-degree spot lighting control. A honeycomb grid a.k.a. egg crate creates a spot of light with gradual falloff for adding depth or highlighting important features. The angle of the grid determines the size of the spot that’s projected, with smaller degree grids producing smaller spots and larger angles producing larger spots. When not being used, the stacked grids store conveniently inside the bezel. Measuring 3.6x1.2” and weighing just 3.5 oz with the included strap, the Rogue Grid easily fits into a camera bag. One of the biggest challenges of using any of these accessories is how to remotely trip the speedlight once it’s off-camera. Hähnel offers two solutions, including the Viper wireless flash trigger that adds features found in the latest Canon Speedlites to older models, such as my 580EX II. Hähnel’s Viper for Canon controls up to three groups of Speedlites and studio lights, each group consisting of one or multiple flashes. A 2.5mm and mini USB sockets let you connect to studio lights, use for software upgrades, or patch to an external 5v power supply. You can adjust the power output of each group or set a group to manual and allow the Speedlite’s output level setting to override Viper. 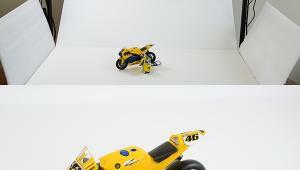 Two AA batteries power it and Viper’s hot shoe allows pass-through TTL from the camera. Need something simpler? Take a look at the Tuff TTL wireless trigger for Canon. The Tuff’s rubberized construction protects it against wear and tear and absorbs energy, making it useful for outdoor, event, and wedding photographers. The transmitter has a Menu button that lets you switch between normal, high-speed, and second curtain sync. Its 2.4GHz wireless transmission control ensures reliable triggering with a range of more than 650 feet. Working with LED lighting systems brings you face to face with terms like lux, lumens, and foot-candles but don’t freak out, there was a time when megapixels were alien, too. Lumen: A lumen a.k.a. luminous flux is a small unit and equivalent of 1.46 mW of radiant electromagnetic power at a frequency of 540 THz. Lux: Lux is a unit of illumination equal to one lumen per square meter or the equivalent of 0.0929 foot-candles. Sekonic’s chart (http://sekonic.com/Support/EVLuxFootCandleConversionChart.aspx) compares Exposure Value to foot-candles and lux. Charts, like Jim Beecher’s (http://photokaboom.com/photography/learn/tips/054b_exposure_light_and_exposure_values.htm), convert EV numbers into shutter speeds and lens apertures, if only on an order of magnitude basis, like when you discovered that the Nikon D800 had 36.3 megapixels you knew “that’s a lot of megapixels.” My recent tests of LED lights in Shutterbug have gone over, in some detail, this conversion and its practical implications. CRI: The Color Rendering Index standard was introduced in 1948. CRI has a scale from zero to 100 that measures a light source’s ability to accurately reproduce color. A CRI number is determined by comparing the color rendering of a test source to that of a perfect source and uses a standard formula averaged over the number of samples to get the final rating. At 80 a light reproduces 80 percent of the visible color spectrum while a CRI of 100 accurately reproduces the colors found on a sunny day at noon. For photographers serious about their craft, it’s not just the way that light from LED sources are measured, it’s also the quality of that light that’s important. Not all LEDs are created equal and, based on my experience in testing several different systems, there doesn’t seem to be a direct correlation between price and quality. Although some cheap LED lights reflect their price, others are surprisingly good, just as some expensive LED systems are not that great at producing a spectrum with missing color bands and spikes. Your eyes automatically adjust for these missing color bands or spikes but your camera can’t and any differences result in more time spent in the digital darkroom trying to get the color right. To give me a handle on this aspect of LED lighting for future lighting system reviews I obtained a small spectroscope at the show that lets me visually inspect a light source’s spectrum and see peaks and missing color bands. For current pricing, full specs, and other product information, please visit the websites of the companies mentioned in this report.